A 10-year-old has been sexually assaulted by a man in Northamptonshire. Northamptonshire Police said the child was with a friend in Brook Street, Raunds, near Wellingborough, when the man approached them on Friday. A police spokeswoman said the man inappropriately touched the child. Police conducted house-to-house enquiries in the area. They have appealed for witnesses to contact them but declined to say whether the victim was a boy or a girl. The man is described as white, around 5ft 5in tall (1.65m) and of slim, thin build. He had dark brown eyes. 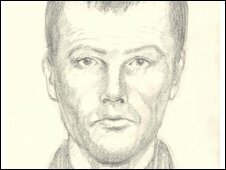 He was aged between 25 and 35 and had short dark brown or black hair and was clean shaven. He was wearing a black zip-up jacket, dark blue or black jeans and had a local accent. The spokeswoman said the attack was not thought to be connected to other sexual assaults in the area, in particular an assault on a girl in Daventry earlier this month.